The Federation of Malaysia, a nation of 27 million people and a constitutional monarchy and democracy, is one of the successful newly industrializing countries of the Asia Pacific region. Although relatively small, Malaysia was an economically vital part of the British Empire, and a major exporter of a number of primary products and natural resources. In many respects Malaysia is a modern nation-state, and from a predominantly rural society in the immediate postwar years it has become an increasingly urbanised one. Nevertheless, elements of the traditional past remain. The country still presents the visitor with an exciting and fascinating medley of cultures—Malay, Chinese, Indian, Arab, Eurasian, Dayak, and aboriginal. These communities have retained, though in a much changed form, a considerable amount of their cultural heritage, and Malaysia continues to demonstrate the virtues of a culturally diverse, exotic, and vibrant “plural society” in customs, religion, festivals, costume, cuisine, language, and architecture. 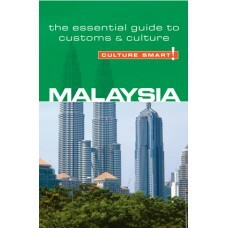 To help foreign visitors and residents navigate this rich and complex cultural mix, Culture Smart! Malaysia provides a succinct and straightforward introduction to Malaysian history and society. It explains the deeper core values of the different ethnic groups, and guides you through Malaysian etiquette and behaviour. Most of all, it will help readers approach these new experiences with greater sensitivity and poise.